Last weekend, 4 teams battled it out for the rights to progress to the finals of the inaugural AusNS2 States Tournament. 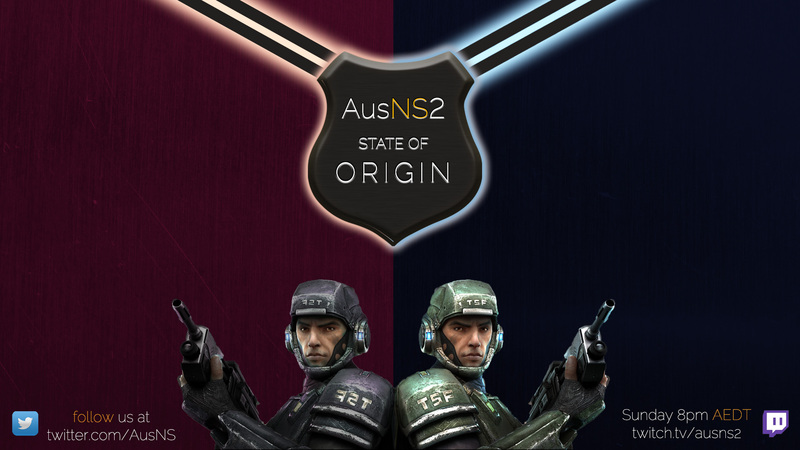 Both Queensland and New South Wales will be progressing to the finals, despite the valiant efforts of both New Zealand and Victoria who fought bravely until the bitter end. It seems quite fitting that both Queensland and New South Wales have ended up in the finals, not only because of the skills they have demonstrated during the group stages, but because of the rich history of rivalry between the states. It is this rivalry that has provided sports fans over the years many epic encounters, and will undoubtedly provide a spectacle to behold as some of the best players in Aus duke it out to determine which state reigns supreme. Tune in tomorrow night (8/7/15) at 8pm AEDT to see who wins. "We're often told that if we ignore history, we are doomed to repeat it. And certainly if we look at the history of the past 2 years, it would suggest that if these two teams played to their best tonight, then Queensland, in all likelihood, will prevail. They are the proven ones; they are indeed, a champion team. But thats the beauty of sport - this result, is not yet carved in stone. The New South Wales blues, will have their say. When the blue's players are handed their server password tomorrow night, they're not just given something to enter with, they're also given a slice of history. They're given an opportunity to create their own history. They're given an invitation to be extraordinary. To beat Queensland tonight, they will need inspiration, and the best place to get that inspiration is from each other out there, on the field of battle. Inspire each other, with your effort. Inspire each other, with your courage. Inspire each other, with your will to win. So there it is for New South Wales. Their destiny, is not so much in their own hands, but their destiny could well be decided by what's in their own hearts. Enjoy your origin NS2." First things first, we hope everyone had a safe and enjoyable holiday and before we get everyone up to speed on what's happening over the next few months I'd like to take this opportunity to get onto some housekeeping, a general update on the state of NS2 as well as what is happening in the next month or so for within AusNS2. It is my pleasure to announce that we will be running the 4th Season of the AusNS2 League! Signups are already open and will be closing on the 22nd of March! The Season itself starts on Monday the 23rd of March! If you have a team to register head to ausns2.org/league and sign up your team for that round robin action! This season will be similar to the last seasons with the rules located on the homepage of the league. One thing that is still open to discussion is the use of Comp Mod v4 but we will see how that unfolds over the next month! Please welcome Visor to the AusNS2 Admin team as one of our moderators! He is going to be helping us with running tournaments, the forums, as well as being a valuable part of Australian NS2 and all of that good stuff so feel free to say hi and introduce yourself to him if you don't know him already. bonage is also back to help with running the season and future tournaments as well! We would like to also thank a few notable members of the community for helping keep the public and competitive scenes alive by running their servers day in and day out. bld and Scatter have been two extremely generous community members that have gone above and beyond in hosting servers for the AusNS2 community, and without them I'm sure the scene would look a lot different than it does now. I know that these guys specifically put a lot of effort into their server setups and weren't just renting a server from a public provider, so huge props to these guys! Both the Dangerzone and Scatterverse servers have been taken down indefinitely but you can thank them for their generosity again in those servers if you wish to do so! As for current servers, Oozle has provided a couple of servers for public and private use as well as bonage (private) and myself (public). If you have any issues with any of these servers, please feel free to message these operators or post in the appropriate thread in the Server Discussion sub-forum. Just a general reminder that the first round of the States Tournament is happening this weekend, the 1st of March and that the current team list is here and the bracket for the tournament is here. The future of NS2 is looking bright as the CDT look forward to developing more patches and content for NS2. Keep your eye on their space as who knows what they will come up with! That's all for now folks! If you guys like these kinds of updates, let me know because I enjoy writing them when I get the chance to do them!